DC’s ill-fated First Wave series featuring the Man of Bronze finally comes to a close after two fairly torturous arcs and a final story that started rough but got better in the end. Sadly, it just came far too many issues too late. J.G. Jones wraps up his story about the possible raising of Genghis Khan from the dead and he injects both drama and action with a good dose of suspense to get the job done. The Doc of course, puts a stop to the evildoing going on and ends the story the way it should have, with Savage and his men triumphant. It is a little tragic that such a classic character was misused so badly, only to finally find a little more footing near cancellation. 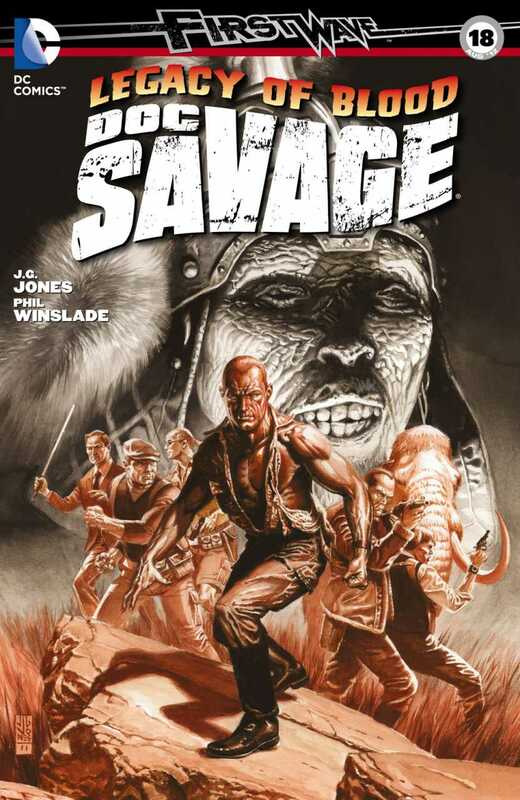 Jones started to really let Savage shine, returning our hero to his adventure and pulp roots, something that should have been done from the very first outing. As it is, the series only had one good thing about it that was consistent and those were the covers which hid the boredom that was simmering underneath. Overall, there were a few good issues here and there, but this is a series which would best be left forgotten to the sands of time.